light-casting Area would be if there were no obstructions in the way. that are contained within that area that the light would be cast in. space) needs to be translated to screen space. perpendicular to the direction you want to cast your shadow over. 6. Almost done, you consturct a polygon that consists of four points. second, you do the same but instead travel down. outside of the bounds of the area that your light casts over. You need to construct a polygon that is essentially a strip that contains what a vertical strip of your world tiles would be rendered into (look at my screen shot, you'll see an array of thin diagonal lines seperating these strips. These strips are what I am referring). You can than render parts of this light map strip by strip (render it over the strip after you've rendered the last tile in that strip since - obviously - the light map has to be applied _over_ the map). You can use the same image-map just use that strip as a clip for Graphics - you will need to translate that strip polygon down per render of a strip. How well do multiple lights work? What you are doing is almost the exact same thing I do. I am going to post the important part here it may be a bit long sorry. Basically, find the points of the shape that is going to be casting a shadow, find the angle to the light, stretch out and create another point, add to a polygon, and block out the shadowed part from the light. I have not done a whole lot of tinkering with shapes. Could be fun. //now you have a completely blank image. Thanks StumpyStrust you've been an awesome help - dynamic lighting in Java2D is a bit awkward and thankfully you've already done it and I appreciate your help. With multiple lights it has been working as I expected but I can't say for sure until I add the light shading effect since the blending of the two will likely require some toying with. I noticed that our algorithms are virtually the same - the only two minor differences with mine is that my lights are cast as an ellipse rather than a circle (due to the perspective) and that I need to depth buffer my light map (which is a relatively easy task) - so looking at your method of using areas\shapes was definitely a huge help. I'm on a bit of a break right now - but I'll get back to it in a couple of hours and I'll be sure to report progress. Mine will work as an ellipse as well or should. Heck, you really could use any source image as long as you change the center point used to find the angles. Scratch that clearing method for bufferedimages from before. It will work but is not necessary. Well work as well. About the same speed. That is the slow down that I have found because I am drawing with a bufferedimage. So to make this really fast I need a way to restore the image to its original state without drawing to a bufferedimage. VolatileImages work but these lines KILLS their performance gain. Put simply, VI do not like changing transparency or more so, the polygon fill method as that probably is done in software. So, restore it with a VI, draw the shadow shape to a BI then draw that BI to the VI. hmmm....may get a nice performance boost if this works. Just talking about it some more and goofing around has given me more ideas on how to get this faster and better. By the end I could make a tutorial on fast dynamic java2D lighting. But then that would just be leading people astray because you really should not be using java2D. How are you drawing the actually lightmap to the scene? The way I do it might be different and I would love to know. Anyways, bedtime for me. Good luck. You'll notice that the Lightmap.enqueueRender is an incredibly cheap operation - I spend virtually zero CPU time producing the light map - this is likely because the operations I am using are hardware accelerated with GradientPaint and RadialGradientPain. However, I do spend a decent amount of CPU time calculating the areas in which to render (Area.Subtract\Area.Add) however I believe there are a lot of places I can minimize the calling to those routines so we'll see how it works out. Either way I don't believe this is too big of a bottle-neck. The Area object seems to not behave properly (I think I've found a bug in the java.awt library) if you pass it a specific set of data (I haven't logged what that data might be) - but essentially it causes the Area.intersect\Area.subtract routine to hang the invoking thread endlessly - no exception etc it just gets stuck in an internal loop. 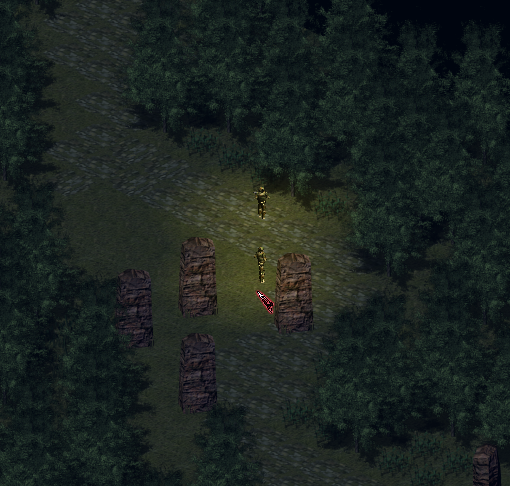 The bug is easily reproducible by positioning the light at a very specific location in my world and than translating it diagonally (world coordinates) - so until I get a response form where I report the bug I'll just avoid that location on the map lol. For now though, everything seems to be performing alright. I think I am going to finish polishing up my DiffuseLight, resolve that hanging issue with Area.Subtract\Intersect (probably issue a bug report - since even if I am giving it awkward data by mistake (and I will trace over my algorithm a bit to assure I'm not) it should have done the proper checking and thrown an exception - it's never really acceptable for it to get stuck in an endless iteration and lock up the main thread) Polish up my lighting a little bit and leave this. 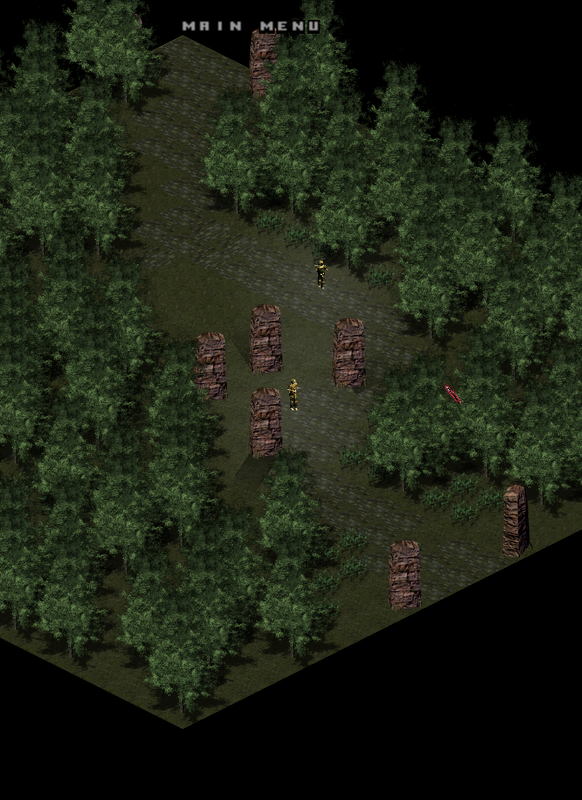 If it starts causing performance issues I'll do some more profiling and try and optimize the lighting a bit. I don't think writing a tutorial on Java2D lighting is a bad idea - since most people doing are (like me) trying to avoid the need to elevated permissions on dependencies that would come along with needing to upload a shader to the GPU. I think it offers an interesting new method for lighting in a 2D rendering environment that can't optimally perform per-pixel operations in 2D games and I don't think that it is well documented. I have drawn the conclusion that depth sorting my light-map is pointless - and unneeded. Depth buffering my light map meant that the applied effect was much like the light being situated very close to the ground - i.e, it wouldn't cast lighting effects sufficient over entities. That said, having an excuse to throw away depth buffering for light-map reduces about 90% of my dynamic lighting systems overhead. Though I still need to implement JTS since java's geometry API performs very poorly in a few rare instances which causes the entire calling thread to lock up until it runs out of memory (I submitted an error report to Oracle on this) - you can take a look at this bug that I found here: http://www.java-gaming.org/topics/does-this-snippet-of-code-hang-your-thread/30393/msg/280400/view/topicseen.html#msg280400 I would link to the bug report but I believe it is remained private until it is confirmed. All that's left to do now is refactor over to JTS and create some cool torch effect with the particle engine & the new dynamic lighting system. I'm pretty excited to start implementing a weather system and day\night cycle with the new lighting and particle subsystems. Looking good. Using an image as the source light is fine. Java is very fast at drawing images. Most g.draw calls are fast. The cool thing with using an image is that you could create all sorts of cool lighting. 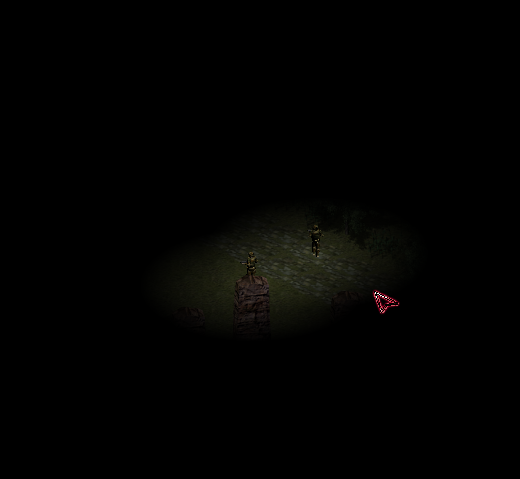 Also, how dark can you make the game? The trick I use to make it so only the alpha of the main lightmap is used is through alpha composites. The idea is to take the alpha from the light/main lightmap and make it the destination alpha. That way you can have some much more realistic lighting. Here is the code. The first draw will draw the amount of color from the lights we are blending. The second will draw the amount of alpha we will blend which in this case it all. To get ambient lighting, just draw a rectangle of some color (ambient color) over the lightmap first with a low alpha or max alpha. Alpha composites are hardware accelerated. They are rather cheap. How many lights can you have before a slow down? How big can the lights be? In my game Retro I have a light attached to each projectile and that does not seem to slow things down much. I have found never to use setClip. It has always been slow for me. For the day night or you just drawing a colored, translucent rectangle? I'm not sure how you've set it up, but I'm not sure how I would do things like set the light to a specific colour using a texture - i.e I don't want to have a texture for every light colour - I am sure there is a way around that (well, I know you can use a software filter and cache - but that's not practical for a lot of situations like a colour transitioning light etc.) There might be a way to do it through a AlphaComposite? I'm not sure. So I set it up to go either way. I can't answer those questions now (well, give me an hour or two, I need to do some profiling & setup a few tests), but what I can say is that the most expensive operation is drawing the light-map to the screen - i.e I don't believe the number of lights has a linear relationship with the initial performance impact so I have to do some profiling there. I'm going to do a light-attached-to-particles test and see how well it performs. 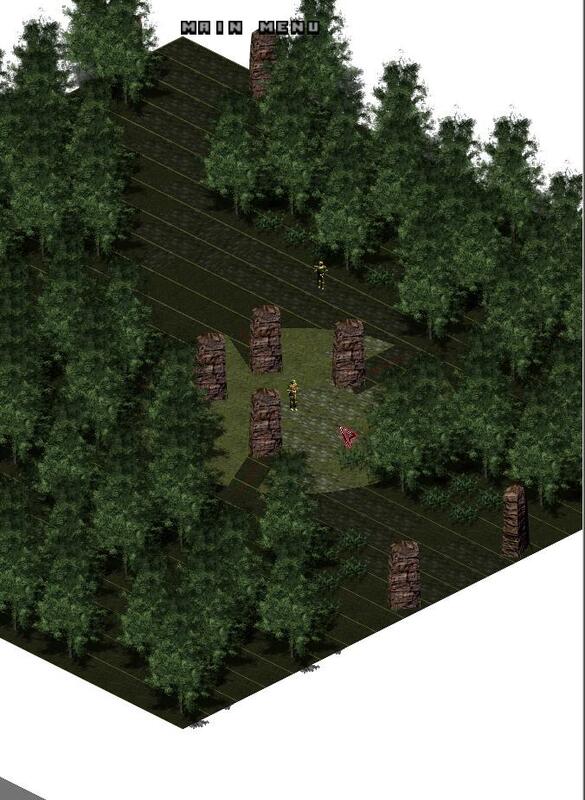 Ugh, all this work on lighting - I forget that the lighting subsystem is such a small component of the engine. Well, I learned a lot about lighting without pixel-shaders which is great - but virtually nothing from my knowledge of prior lighting had any relevance. I really think it would be worth writing a tutorial on this - lighting is complete hell without a shader. Alright, I have 75 lights on there - a radius of 3 tiles. There is some performance difference between the 2 lights and the 75 lights but not much - I don't notice any frame drops (albeit I haven't implemented an FPS counter) but I'd say its running at at least 40 - not being much of a gamer I don't have a keen eye for it really. It ends up consuming about 48% of CPU time (recorded via task manager - which is a jump from ~10%-15%) All the performance impact comes from filling the shape. If you do not want shadows then you can make the system scary fast. At least mine. It will be as fast as java can draw images or in your case shapes. Take your lightmap, clear it, draw all lights to it like you would sprites, and then draw the lightmap to the scene with the method I posted. Should be very very fast. The shadows are what will eat performance. Just tested my current code with turning off shadows and could do a 1500 lights at 256x256 pixels. You can even bake in shadows for dungeons and still get really cool lighting with only a memory hit. My method is memory intensive but it still is very manageable. Each light has its own BI for the original light and the lights that we will be drawing over. Orig and thrash for thort. The shadow map is drawn onto the (thrash) BI each frame and then that BI is clear by drawing the Orig BI over it. 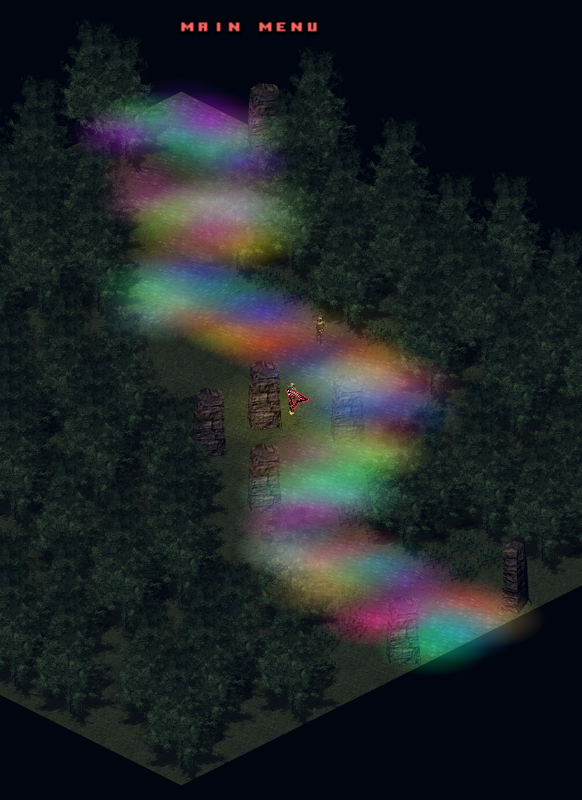 Giving each image their own BI to manage the shadow mapping allows their shadows to not conflict with other lights. Giving them each their own Orig BI also allows them to have their own color. 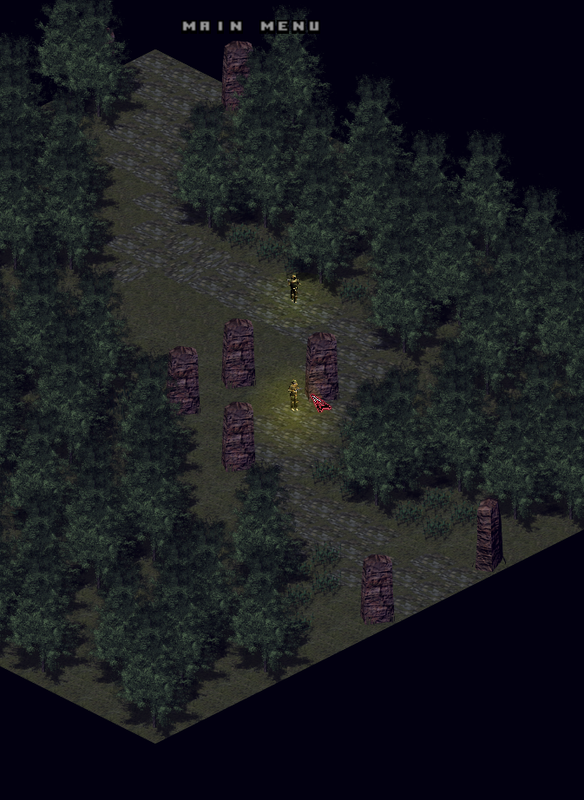 I also re-size each Orig texture to the lights size as to keep the memory down and give larger lights better quality. The down side is having each light have two BI. You can drop the Orig BI and just make them keep a reference to the Orig and clear with it. One thing which I have added is reducing the lights BI size. Sort of like reducing the scale of the lightmap. Reduction the size by 2, (100/scale = 50) doubles performance as the bottle neck is clearing each lights BI and you can barely tell a difference. The advantage of using your gradient pain is that you can pick what ever color you want on the fly. Very nice and not something I thought of. I would mix my current method with yours by dropping the extra BI and instead just draw the Gradient to the thrash BI for clearing. Something I may look into. I am not sure if drawing the gradient is slow or faster then drawing an Image. There may be some software stuff going on to do it but maybe not. If you post the code you use to draw you lightmap I can probably help as I have spent many-an-hour tinkering with java2D and finding out what is fast and not. PS: I have no idea how to do lighting with shaders. You can help me when I venture into that. Hmm, but casting a shadow with an Area object is a lot less involved than casting a shadow with a BufferedImage - all I have to do is subtract from the Area and reassign that area to a different render routine - which is why I say it might not really help with performance at all (in my case) by dropping shadows. Idk though, I'd actually need to test it. I'm pretty sure the RadialGradientPaint is hardware accelerated - i.e in the backend it is probably using a pixel shader of some sort. I know this because I tried creating my own radial gradient paint implementing Paint - and is really simple in nature (something like RadialGradientPaint) and I lost the hardware acceleration and it got really slow. Plus a pixel-shader for radial-gradient would be really easy to implement I am sure the JRE accelerates it. I'll take a look at my code and try to extract the lighting sub-system - shouldn't be too hard to do. I'll post it here when I do. The lighting code is essentially this there is a SceneLighting object that manages the different lights on the scene - still though I haven't found time to unmangle it from the engine because I was busy fixing a few bugs that came to my attention thanks to the addition of the console. It's a pre-release (I.e, this is hidden content) so don't rate it etc I don't really want a lot of people catching wind of it's accessibility. - Only map/almostatcontrol.jmp has a script which relates world time with an ambient lighting. So if you want to see the effects of world time, you must be on that map to do it. - Precaching isn't fully implemented since it hasn't been an issue until now - essentially this means that you might get temporary pauses in the game as it prepares and caches resources that haven't yet been accessed but are just then being accessed via a script etc. CTRL + E (probably the only one you need) executes the script you've entered. If you're script declares functions or variables, they will be added to the global scope so they can be used later. CTRL + L - Loads the script so that any scripts there on out are executed in the context of what you've just typed in. - Used for nothing other than debugging purposes. echo(message); - Echos message to output console. loadWorld(url) loads the world located at the given URL. getQuest(questName) returns an instance of the given quest tailored to that player. Provides ability to check and set quest states. getLocation() returns a Vector of integer components X, Y describing the player's location. moveTo(x, y, tolerance) - Entity en-queues asynchronous task to walk to location (x, y) with an acceptable 'tolerance' i.e radius they are allowed to be in before declaring failure to accomplish task. getHealth() Returns an integer value which is the current health of the character, all characters have a health between 0 and 100 as of now - though that can change depending on the character's configuration file. setHealth(health) Sets the health of the character. addItem(itemDescriptor, quantity) - Adds an item to character's inventory. Returns the number of that item added which can differ from quantity if the inventory is full before quantity is reached. wonder(radius) En-queues asynchronous wonder task to randomly move around. look() Has the character look around it's given area (using is sight properties described in its configuration file). Any found objects cause the object to invoke a onFound() routine - you can't really use this via the command console only via entity scripts. loadState(path) Restores the state of the entity as described by the state located at the given path. The current release uses memory states so this is sort of like a memory virtual filesystem. saveState(path) Saves the state of the entity to the given path. setAmbientLight(r, g, b, a) - Configure's world's ambient light. That is a long read. Will try it out later. Keep it up. Check out my lighting post. Lol, yeah sorry for the long read. I'll definitely take a look at your lighting code. Today I'm going to start planning and hopefully get started on working on a Server Module Extention to the core engine, likewise write a Client module for the Rpg extention. I think adding a bit of networking into the engine would be really cool. This thread is essentially my development log, when I develop a major tech demo etc I will post in the releases, but this thread is primarily just for news etc regarding the engine.